Paybook photograph taken on enlistment of Gunner Eric John Ruller. He was transferred from Singapore to Sandakan POW Camp in north Borneo as part of B Force, and escaped with Corporal Molde during one of the marches on 14 February 1945. Although given food and shelter by villagers, he died late March 1945. 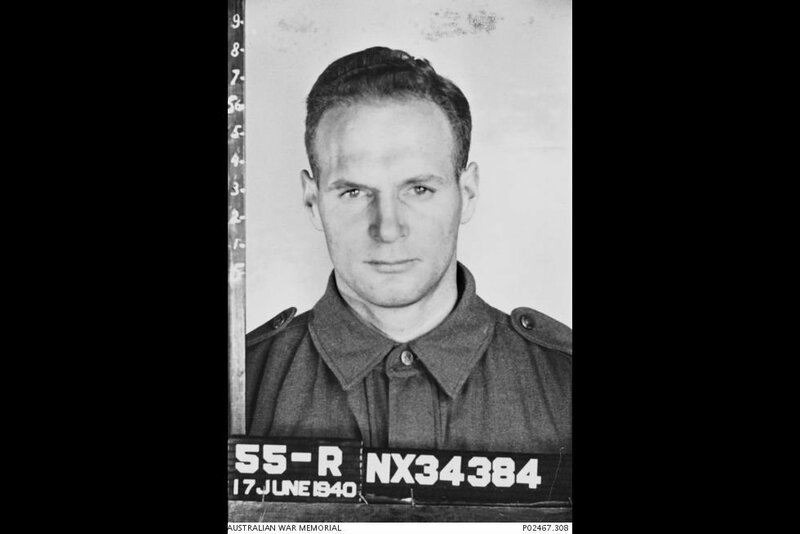 Image taken 17 June 1940, courtesy of Australian War Memorial. 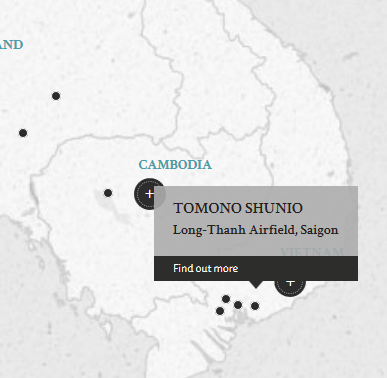 Tomono Shunio was a Warrant Officer employed at Saigon Kempeitai Headquarter in prese. On 12 June 1945, an American bomber crashed about 30km from Cholon, French Indo-China, while on a mission from Philippines to bomb the railway at Saigon. The 2 survivors of the crash, Allen W. Nicks and Joseph A. De Maria, were taken to the Kempeitai prison in Saigon, where they were subjected to various forms of torture and beatings. Early in July 1945, Tomono Shunio ordered the Americans to be transported blindfolded and marched barefoot to a secluded spot near Long Thanh Airfield. There, Tomono Shunio went into the nearby jungle with his subordinate. Tomono Shunio had the smaller of the Americans brought to him, made the American kneel down beside a dug hole and decapitated him with a sword. The other American was then executed by Tomono Shunio's subordinate in a similar fashion. Both bodies were then buried. Tomono Shunio was then charged and found guilty of the killing of both men and sentenced to death by hanging. His subordinate committed suicide before the British could arrest him. Tomono Shunio's petition against conviction and sentence appealed to Christian teachings but did not convince the confirming authority overseeing his trial. Tomono Shunio's defence counsel interrupted examination-in-chief of his own witness, Takano, and requested releasing the said witness on suspicion of insanity. However, the court-martial did not see any signs of insanity and asked the defence counsel to resume his examination-in-chief. Tomono, Shunio. Warrant Officer. From Japanese military. From Japan. Guilty. Death by hanging. Sentence confirmed. Sands, J. W. Lieutenant. From US military. Attorney & Counsellor at law (New York State). Doi, Kiuiaki. Tokyo District Court Judge. Okada, Kenji. Tokyo District Court Judge. Gardner. Captain. From British military.